App building is going to be a whole lot easier with the help of Toolabs. People around the world depend on apps for both work and play. They need apps that are user friendly with features that satisfy the current demand. The creative management team will find a wide range of benefits from joining up with Toolabs. There are certain elements that are important to producing a quality app. Toolabs helps people create a relational design system that is conducive to all styles. The process of generating designs through Toolabs includes everything from colors to text. The Toolabs no-code platform offers simple app development. Their drag and drop interface opens up the entire building operation. This is the best way to save time and money. Toolabs gets apps up and running quickly. The atomic components can start off in an uncomplicated mockup. By using Toolabs, it then becomes more complex as the app is built. The work of a true app artist lies in bringing the animations and interactions to life. The colors can really make it pop and the response time keeps people engaged. Toolabs does not require special coding of components. The Toolabs DS-101 interface design tool allows each member of the team to be involved in the app development. The new component layout give everyone the ability to see the same language. Communication between designer and development is absolute. Individualization is what Toolabs is all about. The component based mentality is centered on a working product. It can be immediately carried over and implemented. This reduces the amount of time spent using several different tools that are usually needed for both visual and coding. Web developers are discovering why Toolabs is the right decision based on their DS-101 tool. It gives developers the ability to stay consistent and predictable. 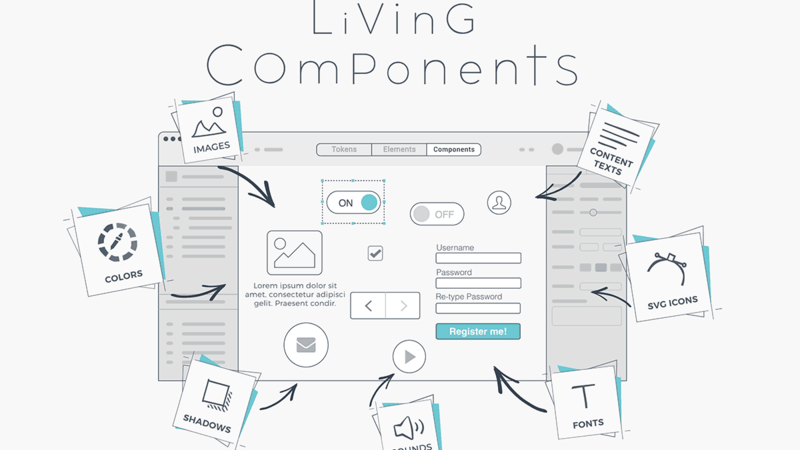 Toolabs has developed their Component Design Studio to help produce better and stronger apps. The more friendly the system is, the better the outcome will be. A good final product is proof of what the Toolabs DS-101 tool can accomplish. The design tools project is a Toolabs specialty. They have taken app development to a whole new level. The interest in the DS-101 tool is a testament to their success. Using apps is more popular than ever before. Toolabs know that the development process needs to keep in touch with the demand.